Please contact boat owner Velvet at 812-768-5175. 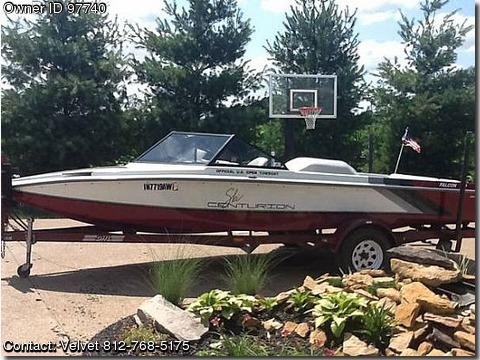 1993 Ski Centurion, Falcon XP. engine is a 351 inboard V8, velvet drive. Boat has low miles, garage kept. Only flaws are the crack in back of driver seat and cracks in rear seat.